Do you believe in fairies? We found it hard not to while experiencing the magic and theatrical fun of Just So Festival 2017. This fantastical event happened on the final weekend of our UK road trip and was a wonderful way to end our summer adventures. We were invited to review Just So at Rode Hall in Cheshire. Below you’ll find our highlights and some tips if you are thinking of booking this brilliant family festival in 2018. Sounds pretty good, right? It was! 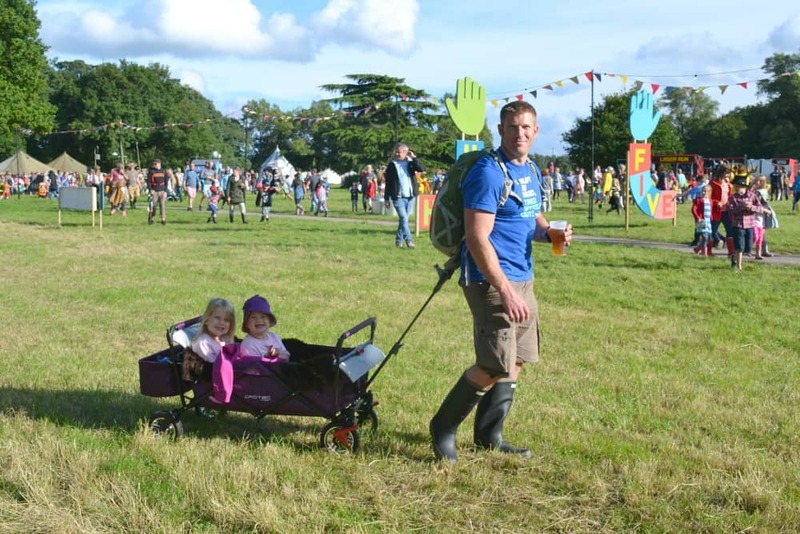 Why choose Just So Festival for your first family festival? We had a bit of a mixed approach to planning what we were going to do and see throughout the festival. As first timers we wanted to go with the flow and spent our first evening rolling the girls and their trailer around the experiences that caught our attention as we passed. Some things we came across were half way through so we book marked them as something we should return to another day. That’s the great thing about Just So – a lot of the programme repeats over the weekend so there’s no need to miss out on great acts or workshops. One of our favourite spots was the campfire in the Spellbound Forest. Here we sat on logs being entertained by Ian Douglas and Dieter Waidson while wood smoke floated around us. There were stories, comedy and mini sets by bands also performing on the main Footlights stage during the weekend. It felt like our own VIP auditorium of fun. The Footlights stage was a fab place to gather and see the bands we’d picked out from the Just So CD we’d been sent with our programme before the festival. The girls enjoyed dancing on the spongy grass dance floor and playing along with games to win golden pebbles for the Tribal Tournament. The Charleston Workshop was one of the first activities we tried. It was a lot of fun and an ideal opener for brushing off any inhibitions…well as many as you could possibly have while in owl fancy dress. We popped back the next day for a ballet workshop, which the girls loved. We hired a rowing boat on Rode Pool for half an hour and took a spin around the 40 acre lake. Rode Hall really is a beautiful estate, with plenty of wildlife to appreciate. Mr Tin Box’s efforts with the oars were rewarded with a sighting of a Kingfisher at the quieter end of the Pool. Oh, and later on we spotted a Froggicorn enjoying a paddle too. During the three and a half days of Just So Festival the girls were on the go for many more hours than usual. So it was lovely to have so many places where we could just sit down without too much excitement overloading their senses. The manmade beach on the edge of Rode Pool was perfect for this, with plenty of buckets and spades provided for mid-festival sandcastle building. The Village Green was the perfect spot to hang out and let the entertainment come to you. Here we enjoyed circus workshops, wandering bands and live acts including the brilliant SEED by the Pif-Paf Theatre company. This innovative one-man show about a gardener’s battle against slugs combined impressive staging with an emotional rollercoaster of a story. I’m not sure who enjoyed playing life-sized Pac-Man and Whack-A-Mole more: the girls or us? Check out my video to see the fun. Away with the Fairies was our go-to place for hands-on activities for the girls. They loved scribbling wishes on package labels, making dream-catchers and helping to weave brightly coloured fairy teepees. They also loved meeting the Fairy Queen – twice! The Tribal Tournament was one of the seminal moments of the festival with all the tribes marching and singing their way to the Footlights Stage. This was where they found out who had won the most pebbles for being good eggs over the weekend. The atmosphere was electric despite the drizzle. We were so glad we stayed for this finale on the Sunday evening and captured some of the fun in our video. Getting onto the festival site was relatively simple, although we missed the entrance and had to turn around because there wasn’t a sign from the south on the main road (it may have been moved by unhelpful passersby). Once we rolled on to the site we were pointed to our pitch in the campervan field. This was an easy walk to the toilet, water and rubbish points, and the festival entrance – a benefit of a small event! All of the festival camping facilities and the site in general were squeaky clean all weekend. Even with a bit of rain over the three days none of the roadways we saw were too muddy. Getting about on foot and towing off at the end of the festival were really easy. 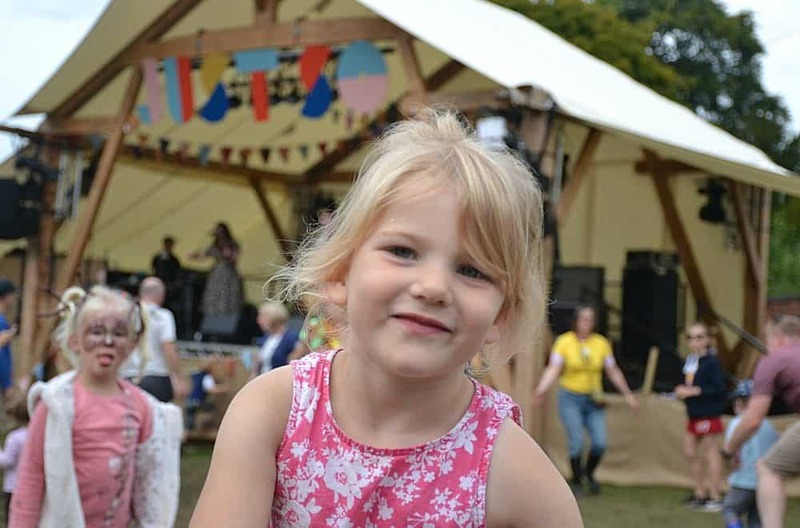 It’s super family-friendly – if you went to festivals before having children and are worried there are some things you wouldn’t want them to see, fear not. It doesn’t happen at Just So. There’s a 5,000 capacity and everyone who attends brings their kids. Have you been to Just So Festival? What was your highlight? Early bird tickets for Just So Festival 2018 (17 – 19 August, Rode Hall Estate, Cheshire) are on sale from now at www.justsofestival.org.uk. 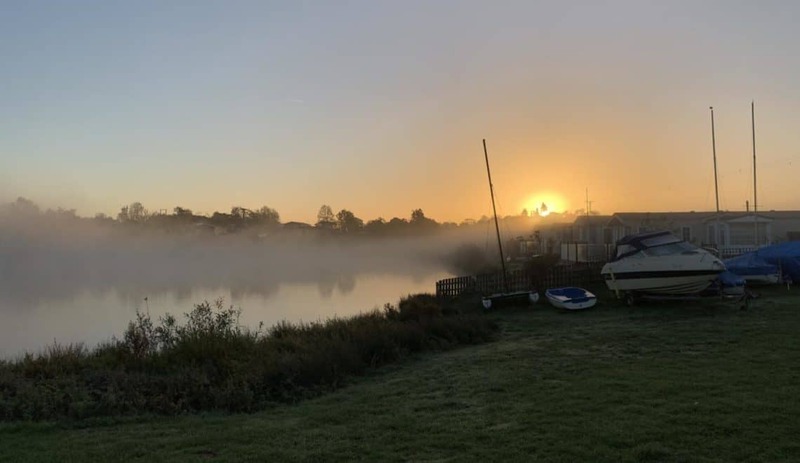 Disclosure: we were invited to guests of Just So Festival and its organisers Wild Rumpus – a not-for-profit creative arts company. All opinions are my own and those of my family.